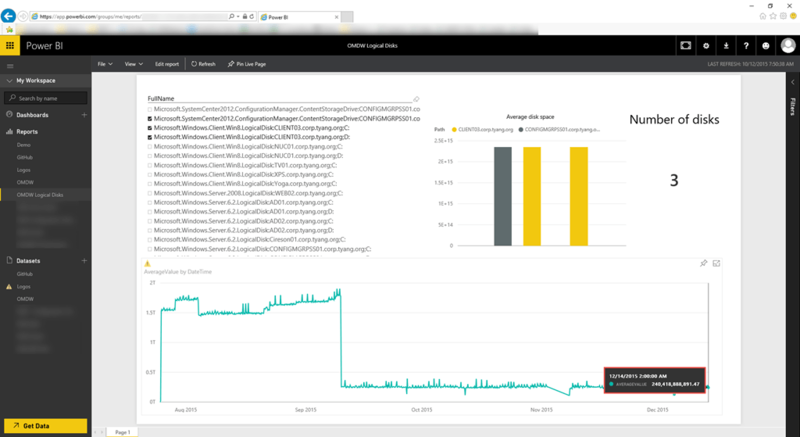 The solution Cameron produced was based on Power BI desktop and OpsMgr Data Warehouse DB, which both are located in your on-premises network. After Cameron has shown us what he has produced, I spent some time, and managed to extend the reports and dashboards that Cameron has created using Power BI Desktop to Power BI sites, which is a cloud-based PaaS solution offered as a part of the Office 365. 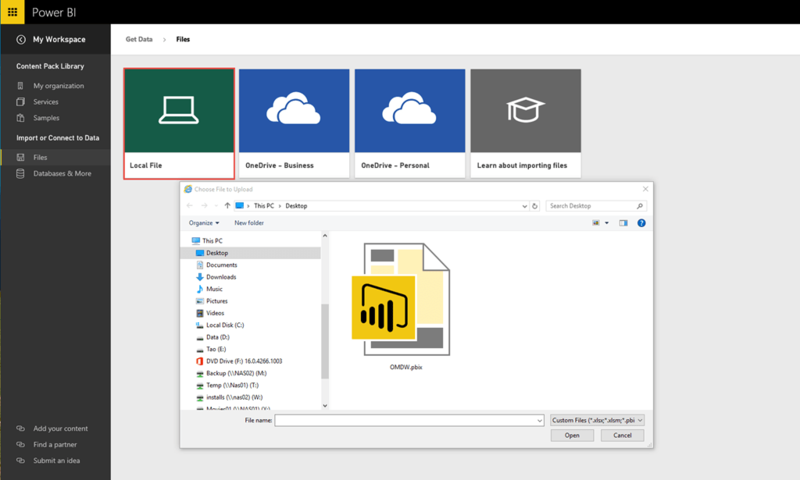 In this post, I will go through the process of setting up this solution so you can move Cameron’s Power BI dashboard to the cloud. In order to create a Power BI dataset in your cloud based Power BI sites which is based on the on-prem OpsMgr Data Warehouse DB, we will need to install a component called Power BI Enterprise Gateway (Currently in preview) on a server in your on-prem data center. 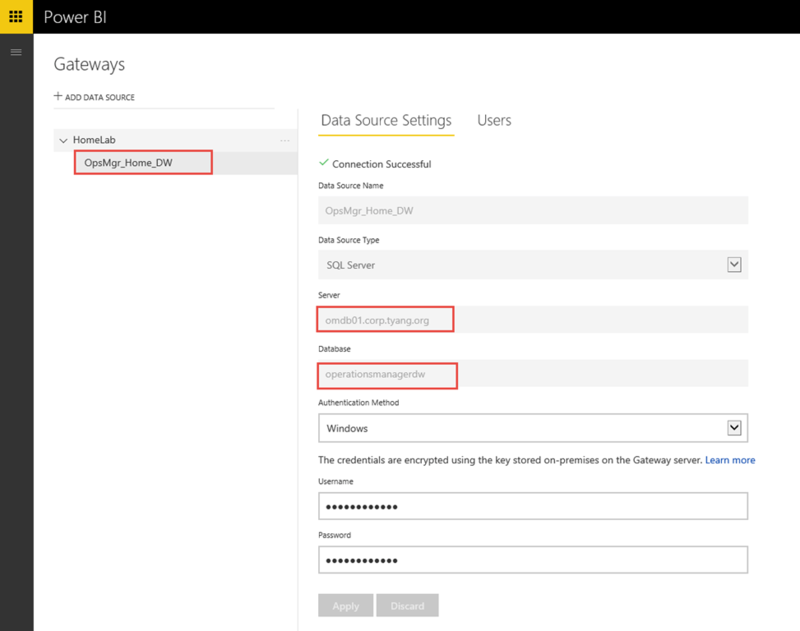 As shown in the diagram below, once the dataset is created for the OpsMgr Data Warehouse DB, the Power BI Site will query the OpsMgr DW DB through the Power BI Enterprise Gateway. 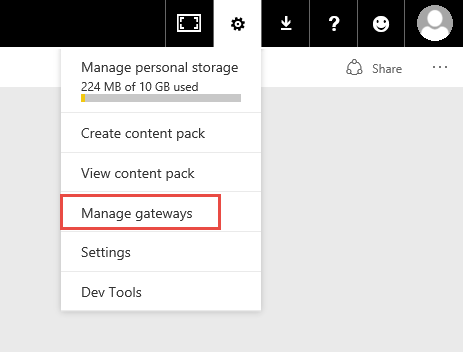 Power BI Enterprise Gateway is a feature only available for Power BI Pro accounts. 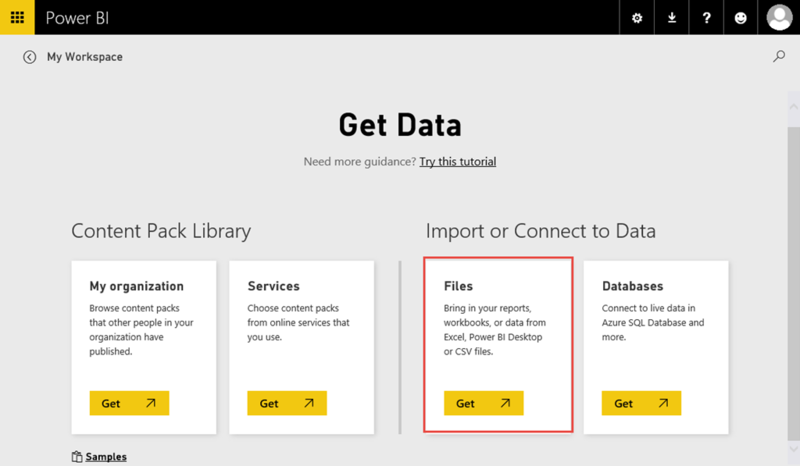 Please refer to this page for differences between Power BI Free and Pro accounts. After the data source is created for the OpsMgr DW DB, I then need to create a dataset based on the OpsMgr DW DB. 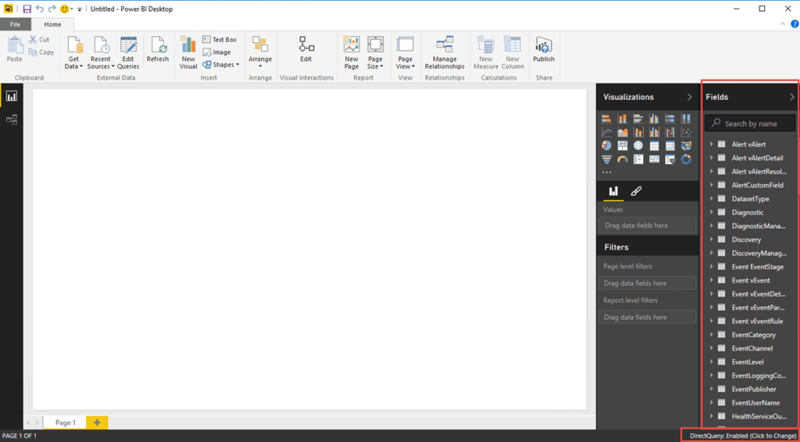 We must create this dataset in Power BI Desktop. 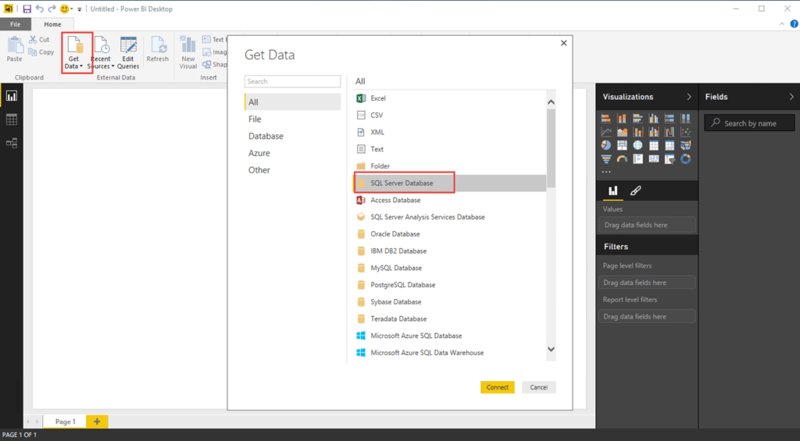 Please make sure the server name and database name entered here is IDENTICAL as what you have entered for the OpsMgr DW DB Data Source you have created under the Power BI Enterprise Gateway. Then, we will select all the tables and views that we are interested in. I won’t repeat what Cameron has already demonstrated, Please refer to his post for more details on what tables and views to select. Please make sure you have select ALL the tables and views that you need. 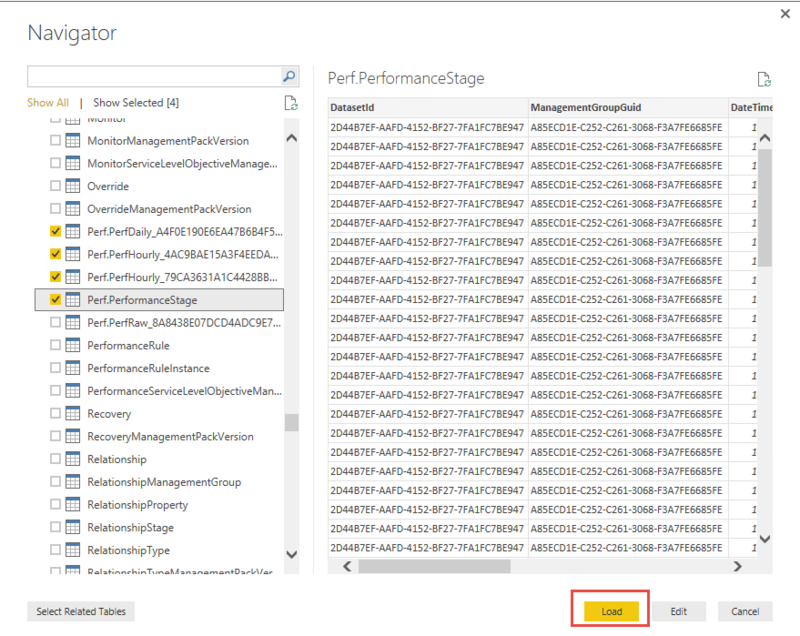 Once we have uploaded this configuration to Power BI Site, we won’t be able to modify this dataset in Power BI Site. 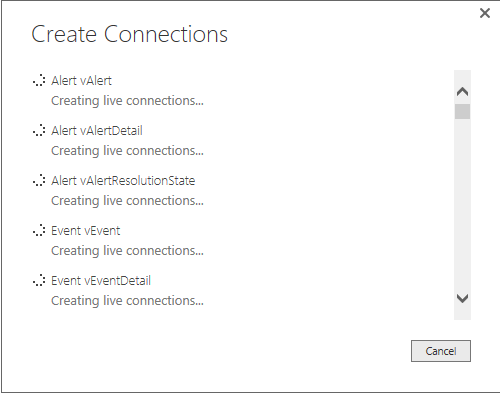 In this post, I have demonstrated how to extend the PowerBI report and dashboard you have build in PowerBI Desktop located in your On-Prem environments to the cloud based version – Power BI Site, via the newly released Power BI Enterprise Gateway (still in preview at the time of writing). 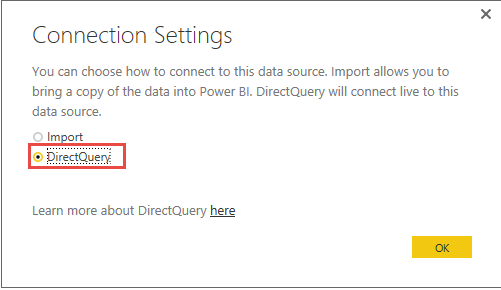 Although we must have a Power BI Pro account in order to leverage the Power BI gateways, since are using direct query method when connecting to the OpsMgr DW database, this solution should not consume too much data from your monthly allowrance for the PRO user. 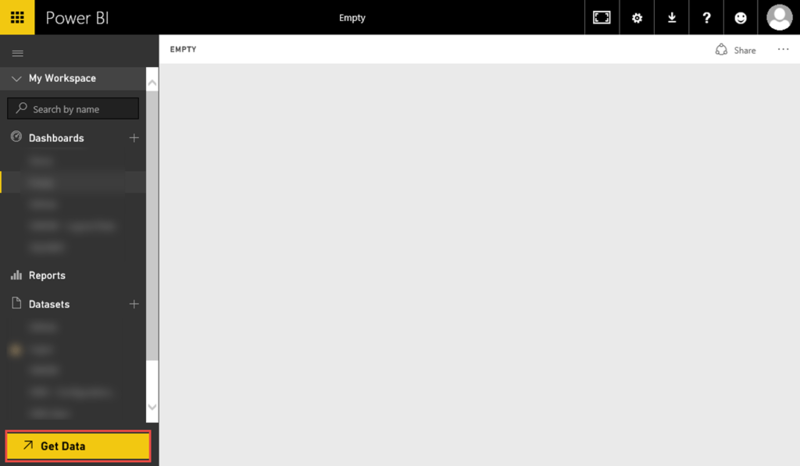 The performance for the report is really fast. 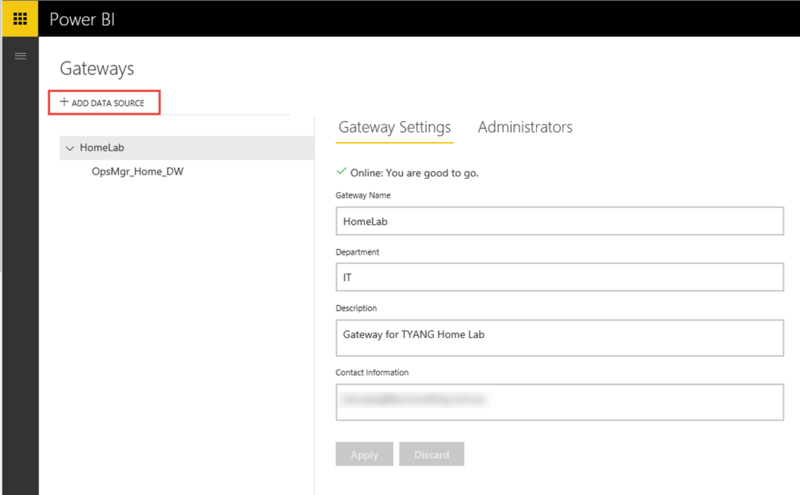 My OpsMgr management group and the Power BI Enterprise Gateway server is located in my home lab, which is connected to the Internet only via an ADSL 2+ connection. You also have the ability to share the dashboards you have created with other people within your organisation.